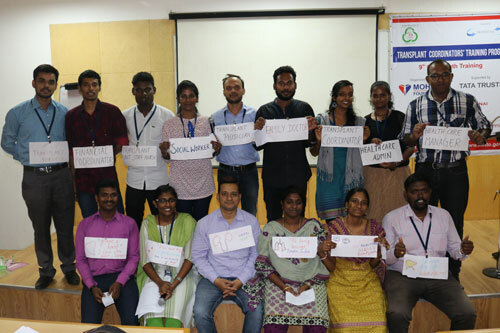 Participants doing an activity on "Deceased organ donation - pathway"
MOHAN Foundation in collaboration with the Transplant Authority of Tamil Nadu (TRANSTAN) conducted a One Month Transplant Coordinators’ Training Programme from 2nd to 29th May 2018 in Chennai. A total of 33 candidates from West Bengal, Andhra Pradesh, Kerala, Karnataka, Puducherry and Tamil Nadu were present. The participants hailed from various professional backgrounds primarily social work, nursing, dialysis technology and administration. There was also a participant, Mr. Pradhap G, who belonged to a donor family - his uncle’s organs were donated in Puducherry. National Organ & Tissue Transplant Organisation (NOTTO), Directorate General of Health Services, Ministry of Health and Family Welfare, Govt. of India, accredited one week of the training. 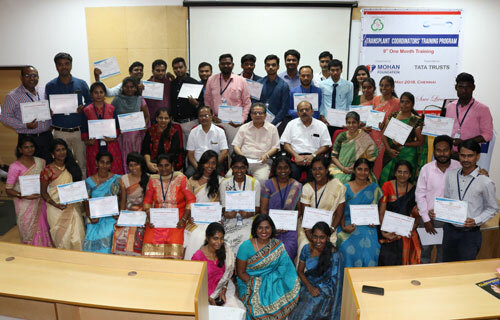 The participants received completion certificates with a unique registration number from NOTTO. The training had eminent speakers from Tamil Nadu, Puducherry and Delhi (via Skype). 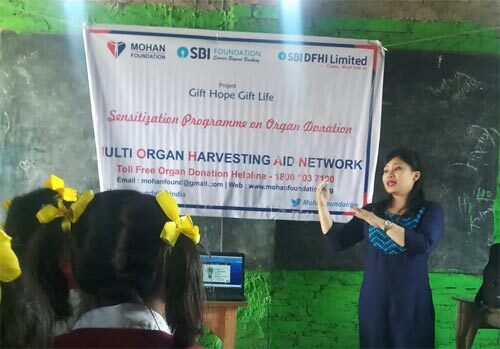 This was the 9th one-month training programme conducted by MOHAN Foundation and the 20th one week training in partnership with NOTTO. 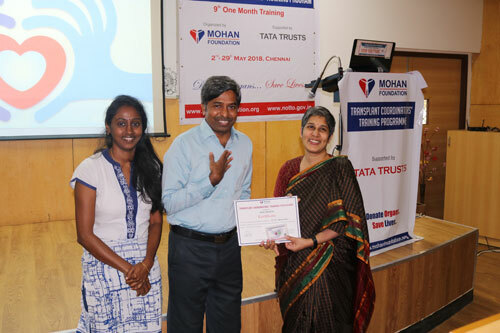 The training was supported by Tata Trusts. 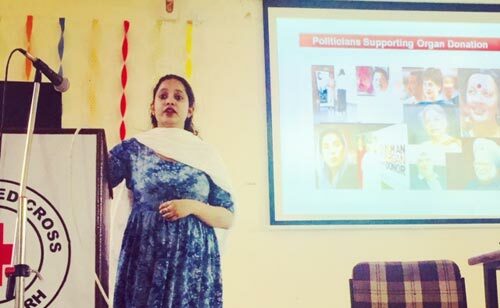 The MOHAN Foundation team took many sessions on various topics over the course of the training. Sessions such as the Introduction to the Human Body, Anatomy and Physiology of Kidney, Liver and Pancreas, Concepts of Organ Donation, Transplantation of Human Organs (THO) Act, Rules and Forms, the THO Amendment Act and Rules, Tamil Nadu Government Orders, Organ Donation Awareness Survey with the help of a role play for participants to understand how the survey should be conducted, Social Media, Deceased Donation Programme in India, NGOs and State Level Bodies, Successful Transplants Programmes in the World, Role of a Transplant Coordinator and Coordinating a Deceased Donation in a Hospital, Government Hospital experience sharing, Public Speaking on Organ Donation, Ethical Issues in Organ Donation and Transplantation, Transplant Economics, Qualities of a Transplant Coordinator, Case Studies, an overview about the one year E-learning course, Bone Donation and Transplantation, Starting a Deceased Donation Programme, My Journey as a Transplant Coordinator and Donor Stories were covered. The team also coordinated activities relevant to the various sessions such as activities on the forms, making a poster on spreading awareness on preventing organ failure (e.g. World Kidney Day), creating a donor recognition kit to acknowledge donor families, making a PowerPoint presentation on organ donation for the public, the organ donation pathway, an activity on grief counselling and the importance of communication. Dr. Navin Jayakumar, Head, Neuro-Ophthalmology Service, Vasan Eye Care Hospital kick-started the first session of the training with the Anatomy and Physiology of the Brain followed by History of Transplantation, Acid-base Balance and an interesting session on How to make an Effective Presentation over the following week. 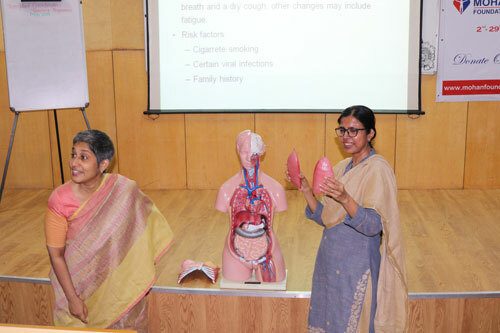 Dr. Malini Girish briefly explained the Anatomy and Physiology of the Heart and Lungs. 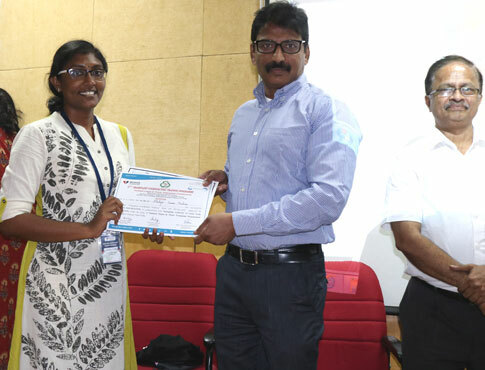 Mrs. Rajalakshmi Ravi, Head - Awareness and Prevention, TANKER Foundation emphasised the importance of spreading awareness on the Prevention of Kidney Diseases. Dr. Somesh Balakrishnan, Plastic Surgeon, Right Hospitals threw light on Skin donation and transplantation and the need for transplanted skin in burn patients. Week 2 involved visits to Sankara Nethralaya’s C. U. Shah Eye Bank, Right Hospitals Skin Bank and Dialysis Unit, DaVita Care India Pvt Ltd Dialysis Unit and SIMS Hospital’s Blood Bank. 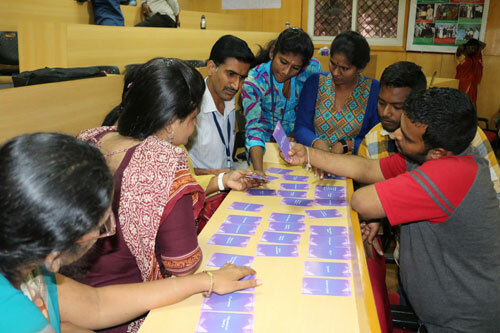 Participants underwent a three-day intensive session on Counselling and Grief Counselling by Mr. K. Veerapandian, Assistant Professor, The Banyan Academy of Leadership in Mental Health (BALM). It ended with a role play to grasp the nuances of the role of the counsellor when interacting with a client. The importance of Stress Management, Understanding Work Teams and Managing Conflicts with the help of activities was taken by Mrs. Elizabeth Alex, Corporate Trainer. Prof. Suryakumari Duggirala, The Academy of Life and People Skills - spoke on Health Care Team Management. The week ended with a practical session on Basic Life Support with certificates issued by TACT Academy. Dr. Deiveegan, Neurosurgeon, SRM Medical College Hospital and Research Centre explained how to identify and certify Brain Stem Death. 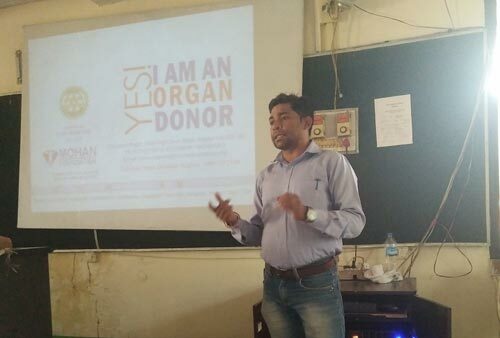 Mr. Gowtham, Founder & Market Strategy Consultant, Brand That Social put forth the various wonders of social media and how far the message of organ donation can be spread. 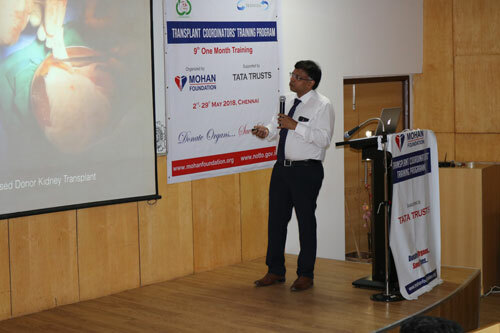 Dr. Jacob Jamesraj, Senior Cardiovascular and Thoracic Surgeon, MMM helped participants understand the lack of awareness in Homograft (heart valves) Banking and interestingly highlighted its purpose. Dr. Sridhar.N, Senior Consultant-Intensive Care Unit, Kauvery Hospitals elucidated on how to maintain a potential brain dead organ donor. What is Chronic Kidney Disease (CKD), its symptoms and options that are given to patients suffering with CKD was covered by Dr. M. Edwin Fernando, Prof. & Head of Nephrology, Stanley Medical College. Dr. S. Arulprakash, Consultant-Medical Gastroenterology, SIMS Hospital gave the participants an overview of liver diseases, the symptoms and prevention. Dr. J.Sreevidya, Senior Asst. Prof., Dept. of Anatomy, Madras Medical College, shared on how doctors studying on a cadaver is the best way to fully understand the human body. 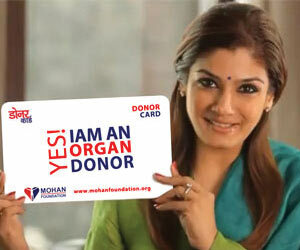 She explained the process of Whole Body Donation and situations in which one should not donate. Dr. Sezhian, Consultant Urologist and Kidney Transplantation, Apollo Hospitals explained the pros of a kidney transplant, the surgical procedure and the drugs required post transplant. Dr. Suresh Shankar, Senior Consultant Nephrologist, DaVita Care India Pvt Ltd lectured on topics such as HLA and Crossmatch, Immunosuppression and Issues related to rejection. Dr. J. Amalorpavanathan, Apollo Hospitals spoke on how to start a deceased donation programme in the State and the importance of a transparent organ allocation system. Mr. R.K. Radhakrishnan, Associate Editor, Frontline, discussed how the forms of media have changed over the generations and how they play a role in disseminating information on organ donation and transplantation. 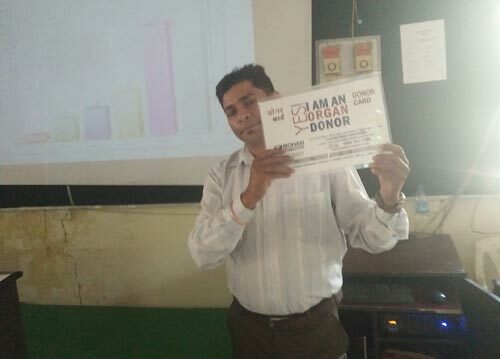 Running a Deceased Donation Programme is not an easy task, Dr. Satish Logidasan, Senior Asst. Professor, Anaesthesiology, Govt. Stanley Hospital listed out Challenges involved in running the programme in a Government Hospital and pointed out the key role that a transplant coordinator plays in the programme. 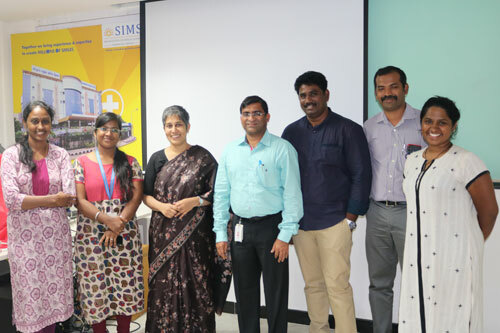 In a very realistic way through her experience, Dr. Jayapriya, General Surgeon, SIMS Hospital shared a surgeon’s perspective on organ retrieval. Dr. Paul Ramesh, Senior Consultant Cardiothoracic and Transplant Surgeon, Apollo Hospitals spoke on Heart Diseases and Transplantation, he then demonstrated the packing of the heart and emphasised its cold ischaemic time. Mr. Nethaji, Program Manager, SIMS Hospital with the help of an activity got an understanding of the participants’ level of knowledge. He listed out the steps involved in getting a license for a transplant centre, the role of a transplant coordinator in the process as well as the role of a recipient coordinator in a liver transplant unit. Counselling grieving families requires skill, Mr. Sagayam Francis, Executive Officer - Transplantation, MIOT International shared keys aspects one must remember when counselling a grieving family. Dr. R. Prabhakaran, Asst. Professor, Institute of Surgical Gastroenterology and Liver Transplant, Govt. Stanley College & Hospital spoke on Live and Deceased liver transplantation pointing out that unlike end-stage renal disease patients who have an alternative to undergo dialysis while waiting for a transplant, end-stage liver disease patients do not have that option. Govt. 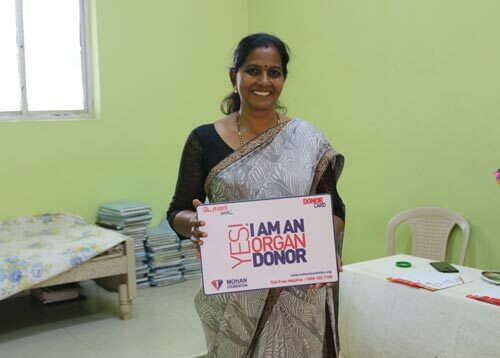 Stanley Hospital did the first hand transplant in Tamil Nadu in February 2018 with a team led by Dr. Ramadevi. With the help of videos she shared the procedure involved during a hand transplant. Mr. Prakash, Transplant Coordinator, JIPMER and Mr. Prakash K, Transplant Coordinator, Kamakshi Hospital talked about their experiences as transplant coordinators. Dr. Suresh K. Badhan, Consultant NOTTO enlightened the participants on the Roles and Responsibilities of NOTTO. Dr. P. Balaji, Member Secretary, TRANSTAN spoke on the functions of TRANSTAN. Dr. N. Gopalakrishnan, Prof. & Head, Dept. 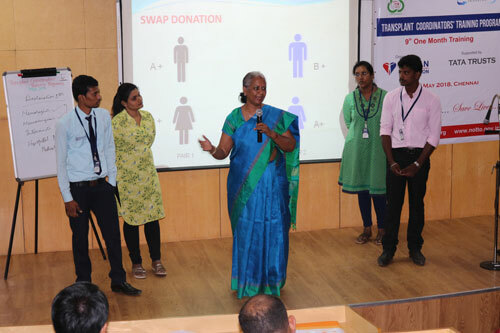 of Nephrology, Madras Medical College explained the ethical aspects of living kidney donation and the follow-up that is required for these donors. The session on Lung diseases and their etiology was delivered by Dr. Govini Balasubramani, Senior Consultant – Pulmonology, Gleneagles Global Hospitals. With the help of pictures and videos he helped the participants understand about lung transplantation and how it transforms a patient’s life. It is very important for a transplant coordinator to have a good rapport and collaborate well with the Police and Forensic Medicine, Mr. Johnson, Transplant Coordinator, Apollo Hospitals shared his point of view, and he also spoke about the forms required. Mr. Shankarganesh K, Senior Transplant Coordinator, Gleneagles Global Hospitals put forth the step by step process and requirements during Recipient Coordination for Heart & Lung and how a Green Corridor works. Dr. Selvakumar, Head, Dept. Forensic Medicine, Kilpauk Medical College with the help of cases explained the protocols in organ donation in medico-legal cases and Post-mortem. With the help of family trees of patients Ms. Sendhamarai Selvi, Kidney Transplant Coordinator, Madras Medical Mission (MMM) helped participants understand the uniqueness of each case for living kidney donation. She listed out all the documents required for a pre-transplant workup as well. Mr. Krishnan a transplant recipient who received a kidney from his sister 20 years ago and is currently very active in promoting the cause of organ donation shared his experience pre-and post-transplant. Following this, participants wrote down possible FAQs asked by patients which Mr. Krishnan checked and clarified. Mr. Shivakumar, Senior Transplant Coordinator, Gleneagles Global Hospitals took the participants through the entire documentation process for living donors, how to counsel and give them financial assistance. Mr. Senthil Kumar, Transplant Coordinator, Government Stanley Hospital spoke on how to approach a family for organ donation, points to note in ensuring the donor family is taken care of and the role of the donor coordinator through the entire process. Various films were screened for the participants such as e-module films on Corneal Donation and Transplantation by Dr. Srinivas K Rao, Understanding Brain Death by Dr. Navin Jayakumar, Pancreas Transplantation by Dr. Raman Dhanda, Hand Transplantation by Dr. Subramania Iyer. A Grief Counselling film (Tamil with subtitles) to visualise how counselling is done with grieving families, a film from NHS Blood and Transplant, UK on Approaching Families - the good approach and poor approach, ‘Phir Zindagi’ a film produced by ZTCC-Pune, along with various other educative videos were screened. The final session of the training was a panel discussion by senior transplant coordinators. 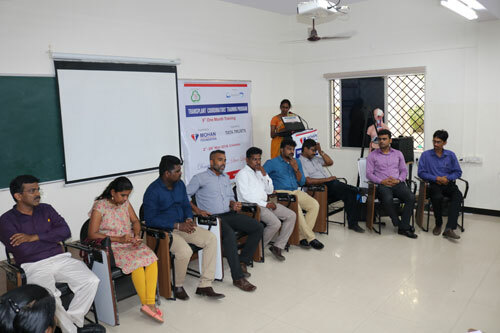 Following were the coordinators who participated in the panel discussion Mr. Sagayam Francis, Mr. Shankarganesh K, Mr. Shivakumar, Mr. Senthil Kumar, Mr. Sathish L and Mr. Dhanaraj from Fortis Malar Hospital, Ms. Sendhamarai Selvi, Mr. Johnson and Mr. Prakash. The panel discussion was moderated by Ms. Sujatha Suriyamoorthi. How to overcome stress while working, as transplant coordinators, will the hospital support transplant coordinators when challenging situations arise, what are the career growth opportunities available for coordinators, how important is it to work in a team and build a network, should the families of deceased donors receive compensation were some of the questions that were raised and discussed. At the valedictory function, the participants received their completion certificates from Dr. K. Jayanth Murali, IPS, Director, Directorate of Vigilance and Anti corruption, Dr. P.Balaji, Member Secretary, TRANSTAN, Dr. N. Gopalakrishnan and Dr. U. Amaleshwari, Director-School of Management, D.G.Vaishnav College. Dr. Vimal Bhandari, Director, NOTTO was also present via Skype. Participants shared their feedback about the training. Note: The participants of the one-year E-learning Transplant Coordinators’ Training Programme attended the counselling, grief counselling, soft skills, and health care team management face-to-face contact sessions as well as field visits as per the course requirement. The E-learning programme is also supported by Tata Trusts.